Offering you a complete choice of products which include chemical process pump, industrial chemical process pump and high pressure chemical process pump. We are offering a wide range of Chemical Process Pumps. Volute Casting: Heavy duty with integral foot and multi-ribbed discharge flange provided superior resistance to pipe loads and improves reliability back pullout design allows for removal of the rotating element without disturbing the casing pipe work of motor to simplify routine maintenance. Impeller: Duplex stainless cast, an open impeller for high-efficiency performance, low running cost and long life, impeller back vanes and shroud design provides axial balance which reduces maintenance and downtime cost by extending seal and bearing reliability. 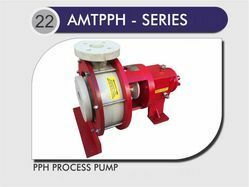 Shaft Seal: AMT - series process pumps can be supplied either with gland packing compatible to the pumped liquid or with a mechanical seal in the stuffing box having suitable connection/stamping for sealing / slushing / circulation/cooling etc. Material Of Construction: C.I. Bronze, S.S 304, S.S 316 & alloy-20 etc. 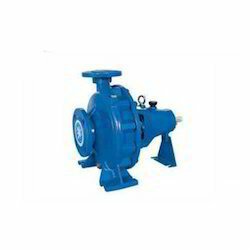 We are offering a wide range of Industrial Chemical Process Pump. We are offering a wide range of High Pressure Chemical Process Pump. 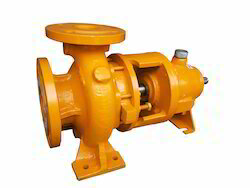 Application: For handling aggressive organic & inorganic fluids in the chemical & petrochemical industries, These pumps are also used at refinery off - sites, Paper & Pulp industries, Food industries, Sugar industries, Sea water desalination plants, Absorption plants in environmental engineering, Power stations, Laminates industries, Textiles industries, Rubber industries, Handling of hydrocarbons, D. M. water, salt, power stations and in industries such as fertilizer and other process industries etc.